The View From The Top: Live Webcam! Consider joining us as a member of the Pilgrim Monument and Provincetown Museum through a membership for yourself or someone else. Joining is easy and also makes a great gift! Simply join online (select category below and pay online or print out the Membership Form and return by mail with your payment). Thank you for your support. Your donations are tax deductible to the fullest extent of the law. Business Members also enjoy benefits such as multiple member cards, free weblink on our highly visited website, and opportunities to showcase your company and SHOW YOUR SUPPORT of the PMPM with direct sponsorships of Special Events, Collaborative Media Events, and the iconic Annual Lighting of the Pilgrim Monument. Your Membership helps preserve a rich heritage by opening doors to exhibits and programs that enrich and inspire while sustaining our mission and the operations of the Monument and Museum. Thank You! 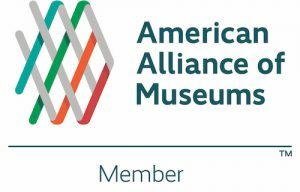 Memberships help sustain our mission and help with the continuation of the Monument & Museum’s operations. Members enjoy the opportunity to get involved while helping to preserve a rich heritage and opening doors to exhibits and programs that enrich and inspire.